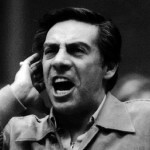 Musical theatre and television star Jerry Orbach (b. Bronx, NY, October 20, 1935; d. New York City, December 28, 2004) was best known in recent years for playing the crusty police detective Lennie Briscoe in the Law & Order television series. But he had an equally brilliant career on and off Broadway from the 1960s through the ’80s, earning early fame as El Gallo in The Fantasticks, and starring in Carnival! 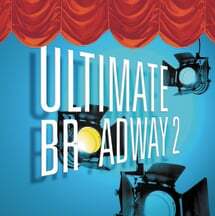 (1961), Guys and Dolls (a 1965 revival), Promises, Promises (for which he won the 1969 Tony® for Best Actor), Chicago (a Tony® nomination 1976), and 42nd Street (1980). The father of Jerome Bernard Orbach, a restaurant manager and some-time vaudevillian, was of Sephardic Jewish ancestry, transplanted to the Bronx from Hamburg, Germany. His mother, a Polish-American Catholic from Pennsylvania, manufactured greeting cards and had been a singer on the radio. Jerry, an only child, was raised Catholic. He had a remarkable talent for mimicry, especially of voices he heard on the radio, and his parents encouraged his theatrical ambitions. The family moved often and widely – Mount Vernon, Wilkes-Barre (where his mother’s father was a coal miner), Scranton, Springfield, MA – and finally came to rest in Waukegan, IL, where Jerry went to high school. Right after high school he did summer stock in Illinois with Mae West and Vincent Price, earning a little money as West’s personal driver. His idols were the young rebels of film, James Dean, Marlon Brando, and Montgomery Clift, and hoping to cast himself in that mold he studied drama first at Northwestern University, then, moving to New York in 1955, with Lee Strasberg at the Actors Studio. Despite the nearly forty films in which he would appear over his lifetime, he would never realize his youthful dream of Hollywood stardom. Within only a couple of months in New York, however, Orbach was hired as understudy to the Streetsinger in The Threepenny Opera at the Theatre de Lys, and remained with the show for four years. In 1960 he was offered, and accepted at forty-five dollars a week, his leading role in The Fantasticks (“Try To Remember”), the legendary off-off-Broadway production that was to run for more than forty years. In 1961 Orbach starred as the puppeteer – a somewhat awkward romantic lead – playing five different characters in the musical Carnival! As Sky Masterson in a 1965 City Center revival of Guys and Dolls he earned a Tony® nomination, and followed that a year later appearing with Ethel Merman in another revival of Annie Get Your Gun. Orbach’s greatest Broadway triumph was in Promises, Promises by Neil Simon and Burt Bacharach, winning him the Tony® and running for 1,281 performances. Orbach was often offered the opportunity to play gangsters. One of his most notable portrayals was on television in The Gang That Couldn’t Shoot Straight (1971). A genuine gangster, “Crazy Joe” Gallo, was so impressed that he called Jerry on the telephone and the two eventually became fast friends. Orbach and his then wife Marta Curro were with Gallo at the Copacabana in 1972 only a few hours before Gallo was gunned down in a restaurant in Little Italy. In the 1980s Orbach’s career focused more on television (Trapper John, M.D. 1980, Ryan’s Hope 1983, Tales from the Dark Side 1987, The Hitchhiker 1987, Perry Mason 1989) and film (Prince of the City 1981, Dirty Dancing 1987, Woody Allen’s Crimes and Misdemeanors 1989). Three episodes of Murder, She Wrote established Orbach in the character of Harry McGraw, and a spinoff drama series, The Law and Harry McGraw, was created for him in 1987, but it lasted only four months. The character, however, made three later appearances on Murder, She Wrote. Jerry Orbach was also the voice of the singing candelabrum Lumière in Disney’s animated Beauty and the Beast (1991) and its sequels. In 1991 he appeared in a Law & Order episode as a defense attorney and made such a hit that he joined the regular cast a year later as Detective Lennie Briscoe. Over the twelve years he was with the show, he was thrice nominated for primetime Emmys® and for eight years in a row shared the Screen Actors Guild nominations for Outstanding Ensemble with Sam Waterston and others in the cast. TV Guide designated Briscoe one of their top fifty television detectives of all time, and SAG gave him its Best Actor Award posthumously in 2005. In 2002, quintessential New Yorker Orbach was named a “Living Landmark” (“It means they can’t tear me down”) by the New York Landmarks Conservancy. Orbach was married twice; he had two sons with his first wife, whom he had met in the Theatre de Lys Threepenny Opera. They were divorced in 1975, and he married Broadway dancer Elaine Cancilla, from the cast of Chicago, in 1979. The couple lived in Hell’s Kitchen off Eighth Avenue for twenty-five years; after his death his widow prevailed – against formidable odds – upon the local Community Board to “co-name” the intersection at 53rd Street and 8th Avenue as Jerry Orbach Corner. Orbach was probably diagnosed with prostate cancer around 1994, but it was a well-kept secret until a month before his death. The day after he died at the Memorial Sloan-Kettering Cancer Center, the marquees on Broadway were dimmed in tribute.